If you are looking for a place to learn more about coffee, make a reservation for a free cupping experience at Virtuoso Coffee. Cupping is offered at 8:30 each Wednesday, and a reservation can be made by phoning Virtuoso on Tuesday afternoon to reserve a spot. They may offer other dates in the future, so ask if Wednesday doesn’t work for you. Our cupping was with Rigo who has the coffee expertise and the personal skills to help each participant learn more about enjoying coffee. 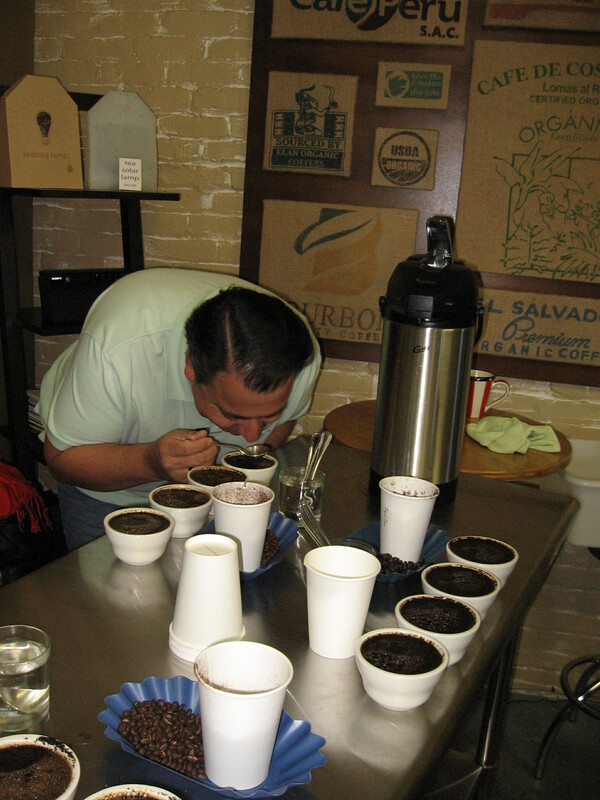 Smell, taste, and savor as you use your senses to think about coffee in ways you may have overlooked in the past. Go with a friend and make sure you plan to linger after the cupping to enjoy an outstanding cup of Virtuoso’s coffee with your friend(s) and debrief on your learning. Virtuoso’s strives to have the best coffee in town so visit their cafe in Barrio Logan and check them out, or, on Saturday you’ll find them represented at Little Italy Mercado. Don’t miss this experience! This entry was posted in Coffee shops in San Diego and tagged Barrio Logan, Coffee, Cupping therapy, San Diego, Virtuoso. Bookmark the permalink.